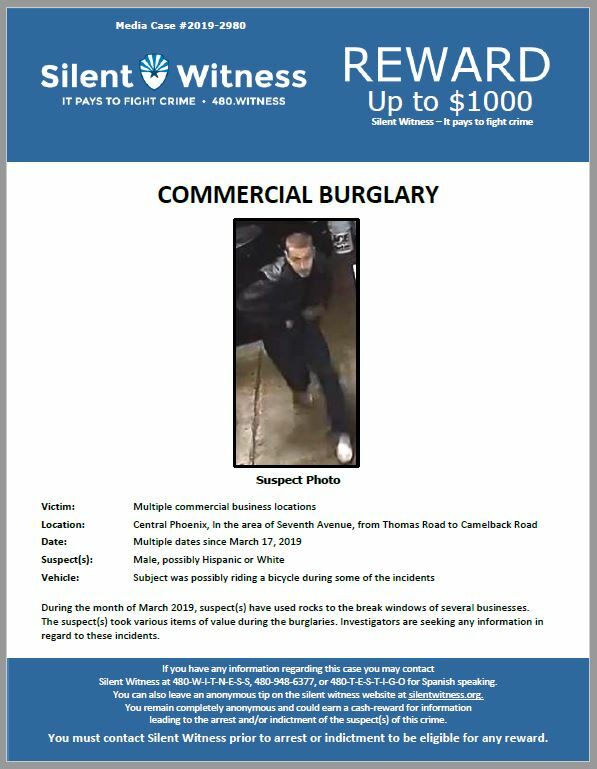 During the month of March 2019, suspect(s) have used rocks to the break windows of several businesses. The suspect(s) took various items of value during the burglaries. Investigators are seeking any information in regard to these incidents.